How many times have you heard about biosecurity? Too many to count? Yet, how often are biosecurity practices implemented on your farm and to what extent is it a priority? Talk to anyone who has had a bad disease outbreak on their farm due to outside factors and the issue of biosecurity becomes one of top priority. 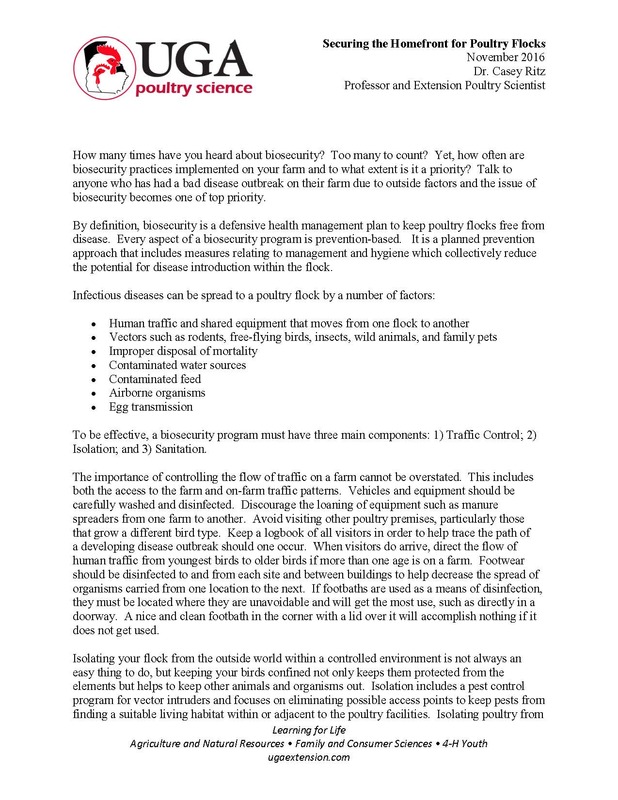 By definition, biosecurity is a defensive health management plan to keep poultry flocks free from disease. Every aspect of a biosecurity program is prevention-based. It is a planned prevention approach that includes measures relating to management and hygiene which collectively reduce the potential for disease introduction within the flock.